Welcome to Android Central! It's probably a widget, not an app. What's the name of the clock, and what version of Android are you using? Go to your App Drawer, then swipe over to the Widgets. Look for the widget with the name of the clock you installed, press and hold, then drag to your homescreen. Is this the one? : Transparent clock & weather. As I suspected, it's a widget. Follow my instructions from the post above, and it should work. Thanks Diddy, that worked. When I opened it I was able to access the settings. I want to make some changes and I am not able to locate the settings. Do I have to start from scratch to reconfigure? I can't see your attachment right now on the Android Central App. In any case, widgets sometimes have a little menu button (either a 3 vertical dot icon or a gear icon), so if you see that, press it. 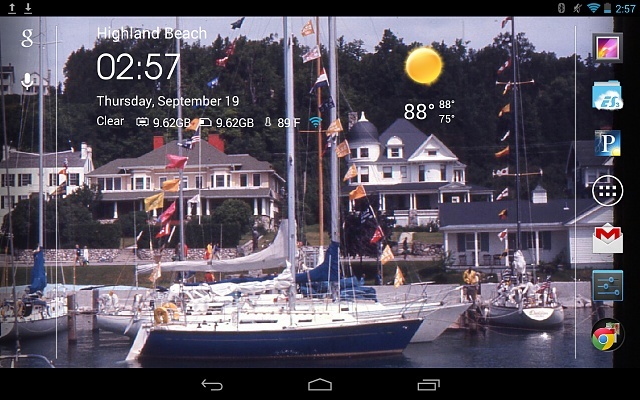 Otherwise, open the full Weatherbug app and bring up its Settings menu--there might be a widget settings menu there.